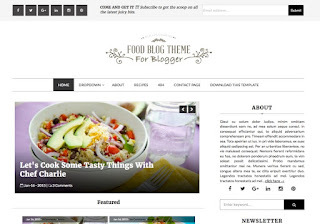 Food Blog Blogger Template is a blogging theme with a focus on food. Whether you are a seasoned chef, or just getting comfortable in the kitchen, Food Blog allows you to showcase and talk about your latest creations, or the art of food in general. The built-in recipe builder makes it incredibly easy to share recipes with your readers. Just enter the ingredient and amount, and create beautiful lists in seconds. Sharing photos and videos has never been easier. Food Blog helps showcase your beautiful food with huge post images and video embeds, sure to catch the reader’s eye. 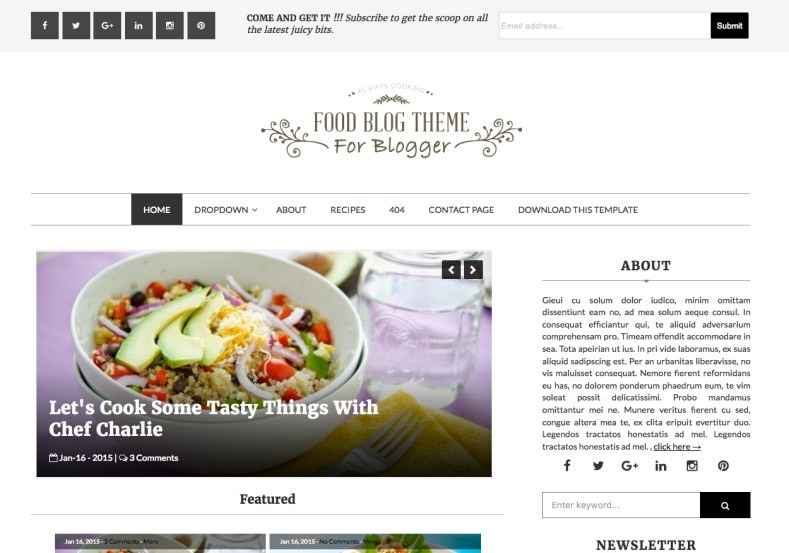 But underneath it all, Food Blog is a powerful blogging theme that can be utilized by anyone. Quickly change the site’s style with a new background and widgets, and use Food Blog to blog about anything. nice to see,,,,,,,, this templatr. this is very good quality template.